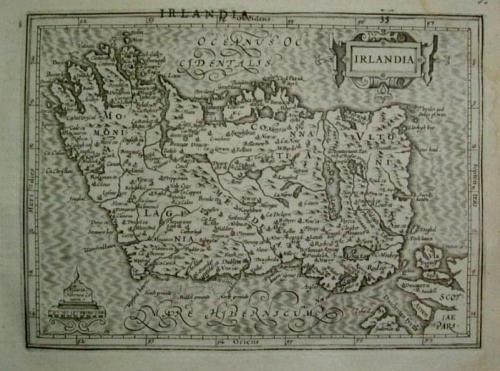 Title: 'Irelandia'. Verso Latin text. An intricate and beautiful map. Very minor water stain at the top right margin, otherwise in very good condition.